Home / Altcoins / Do We Really Need Gemini (GUSD) in Crypto Market? Do We Really Need Gemini (GUSD) in Crypto Market? Gemini, the world’s first licensed ether exchange by the early investors of the Bitcoin, Winklevoss twins. As Gemini is the US-based Cryptocurrency exchange. 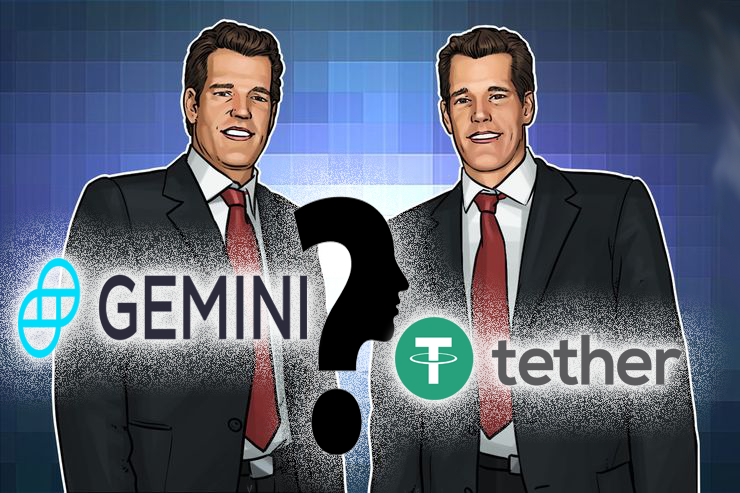 The launch of Gemini Dollar was totally a great surprise for stable-coin, there were no rumors regarding its launch Gemini, however, certainly had a need for a stablecoin: the exchange doesn’t use the controversial Tethers used on other exchanges. Tether and its USDT track the USD 1:1 on the blockchain, but Tether has come under controversy for failing to adequately audit its purportedly massive USD cash reserves. In their announcement Gemini doesn’t mention Tether and other Stablecoin but still stablecoin require more stability to be regulated. Gemini Dollar has backed up Tether? According to the host Chris Coney thinks that the Gemini Dollar will be the end of Tether is accountability. The tether has undergone by many audits by monthly audits by regulators in New York. This will ensure that the supply will always be equal to the USD in the Gemini reserves.These monthly audits are major departures from the accountability practices by Tether. In the past, the Tether has faced numerous audit delays. The result is almost about transparency about Tether is almost non-existence. Besides that, nobody knows whether Tether really has the supply of US dollars equal to the amount of Tether the company has. Why did you even bother asking for my tax returns, trust agreement, LinkedIn profile, fill out pages of applications, numerous stupid questions then to deny me an account. MAYBE IT’S FOR THE BEST IF YOU ARE A SCAM COMPANY.